Just in time for May sweeps; Bigfoot! Sweeps are time periods when television stations/networks typically schedule programming designed to attract a larger than usual audience. Who better to boost ratings than Bigfoot? Especially in Portland, Oregon? Enter Grimm. The TV series Grimm, located right here in our neighborhood, Portland, Oregon, is a new drama series inspired by the classic Grimm's Fairy Tales. Portland homicide Detective Nick Burkhardt (David Giuntoli) discovers he is descended from an elite line of criminal profilers known as "Grimms," charged with keeping balance between humanity and the mythological creatures of the world. Announced on TVline.com are plans to have a Bigfoot-esque or a Sasquatch-esque creature. The official name is a Wilderman. Why not just Bigfoot or Sasquatch? If it makes you feel any better they have Werewolf-esque creatures too. No? Me niether. Here is the official announcement of the bigfoot-esque news. Jericho's Kenneth Mitchell Hoofs It to Grimm as Big Foot-Esque Beast! Grimm has found its Big Foot! 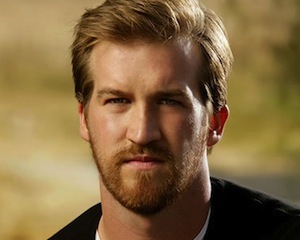 Jericho alum Kenneth Mitchell will guest star in an upcoming episode of the recently-renewed NBC drama as a sasquatch-esque creature, TVLine has learned exclusively. Mitchell will play a Wildermann, a beast that resembles the infamous urban legend. In the real world, his alter ego, Larry, struggles with self control issues, which causes him to be stuck between his human self and his creature self. Not helping matters is the pain from the device inserted into his neck that leads to his mental breakdown. Mitchell’s episode — No. 21, to be exact — is slated to air during May sweeps. Everybody knows Werewolves are mis-identified Bigfoot anyway. After Darwin (1859), werewolf sightings go down and Bigfoot sightings go up. That doesn't prevent modern day mis-identifications, see the video below.